The first “lending library” in our country was started in 1731 by a book-lover, avid reader and printer named Benjamin Franklin. You might have heard of him before. At that time, books were expensive and not easily available to the general public, so he and a group of fellow printers decided that if they pooled their financial resources, they could buy books from England and let community members borrow them. 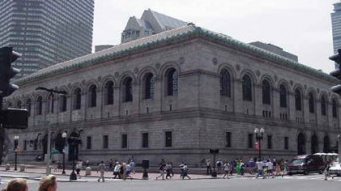 The first municipally supported public library in the U.S. was the Boston Public Library, which was established in 1848 and is now a historical national monument. The American Library Association is the oldest and largest library association in the world. It was founded in Philadelphia in 1876. Visit your local library this week and take advantage of all it has to offer!